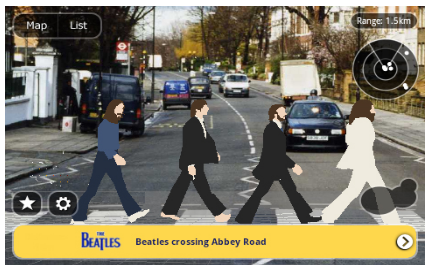 Every day, you walk down the same street. You walk past the buildings, see the crowds and yawn. But on this day, you decide to use your smartphone and look down on the screen. At that moment, you see animation, tweets from people in the area, and you can respond. Interactivity meets reality. Social meets real time visibility. Engagement, enlightenment and excitement in an instance. You wonder to yourself, can this work in the e-learning world? Specifically, m-learning? Can an app for the smartphone superimpose learning in a location or locations? Would it be possible to create a 3D environment in a real environment with people interacting? If yes, what would it be called? 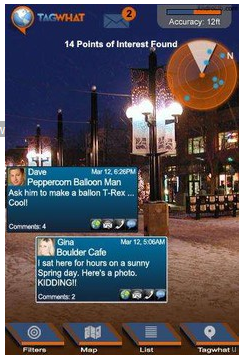 Augmented Reality and it is happening as we speak. While AR has been around for years, in the past year new apps for smartphones (inc. iPhone and Android) have been hitting the market. Yet, very few people actually know what AR is and its capabilities. Simply speaking, AR superimposes graphics, audio and other sense enhancements onto real time environments. You can incorporate tags, animation and interactivity. While the solution was based on the premise of a portable computer and headsets; it is being used with smartphones and gaining traction. It can take a toll on battery usage; but then again, doesn’t any cool app? Layer – I use it and frankly it is the best AR app for a smartphone. You can impose the graphics, animation, communicate via Tweets or messages that appear in bubbles on your screen from other people in the area you happen to be walking around, see what it was like in the area in the past (very cool) and play games within it. 3. 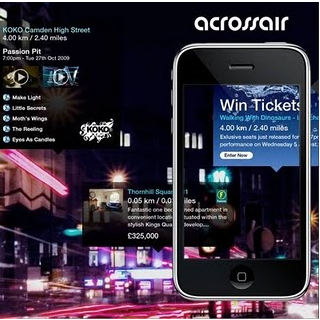 Acrossair app displays all the tweets around you in 360 degrees of Augmented Reality view, with the distances and photos of the people tweeting around you. 5. 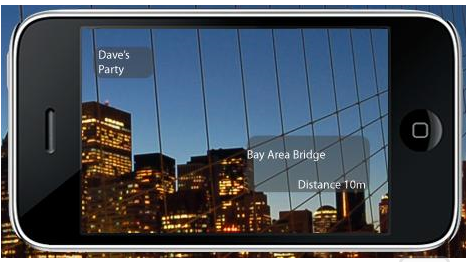 Wikitude World Browser app displays data and other points of interest by overlaying information on the real-time camera view. Disney – who tested it out at Epcot center, by giving smartphones to children (at an event), and having them go around the park on a scavenger hunt. The AR app showed them clues at various locations. The AR game used RFID tags to point the children in the right direction. The biggest issue with m-learning today, is that it is limited. While there are vendors who tout mobile LMSs and courses that can be seen on smartphones, I’m not too keen on taking an actual course on my smartphone. Mobile LMS or LMSs and courses that work on tablets is another story, but most vendors today focus squarely on the smartphone arena. The big gains they see and list is the ability to view documents, PDFs, etc. and follow a step by step process. Whippee! If that is not highly engaging as you looking at a rock, I’m not sure what is. Yes, you can take a quiz on your smartphone and then depending on the vendor have to tie back into your LMS, but really – you want a tad more interactivity and excitement. The last time I looked, I can’t recall anyone telling me that taking a quiz on a mobile phone offered a social experience with animation and geolocation abilites. Seriously, would you want to take a quiz that is text based? Would you want to play an educational or learning game that was text based on your smartphone? What about your tablet? Tired of repeating the same information over and over again, hoping it will stick in the classroom? Turn their smartphones into a new type of PowerPoint, sans the screen and the product itself. Images, text, sound can be seen and heard immediately as they are looking at you or anywhere in the classroom or conference room. Heck, they don’t even have to be in the classroom, they can be at their desks or for academia walking across campus. With AR you could push academia and education to the next level. Taking them on a field trip and want them to be more engaged then listening to the tour person or you (yes, I know you are incredibly entertaining)? Whalla! Having them look at your chalkboard with your text scribbled on there and see the eyes roll in the back of their heads? Adios! Tired of being a talking head in a lecture hall, assuming that all 300 students are listening? What about putting in a video in the classroom and assuming everyone is staying awake? So long to those days! Are you ready to take that path with the next level of m-learning? If so, look me up. I’ll be the one looking at the Hollywood sign, learning about its history and posting comments to anyone with a radius of 50 miles. I’m learning, having fun and engaged.